Facial skin, especially while aging, needs extra protection from the environmental factors. Luckily, this orange mango butter face cream has everything your aging skin needs. For starters, mango butter is rich in antioxidants and fatty acids that are known to hydrate the skin, remove age spots, and smooth out fine lines. Jojoba oil helps in skin repair, while shea butter contains vitamins A, D, and E, all of which work to reduce wrinkles and tighten up the skin. At last, the orange essential oil boosts collagen production, while improving blood flow to the skin. Transfer the cream into an airtight container. Store at room temperature. 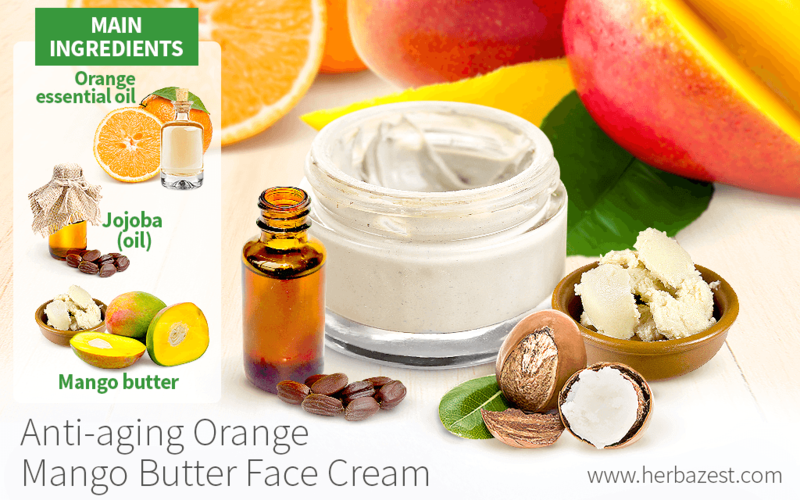 This mango orange face cream is best when used within six months from making.